Roop Mantra Aloe Vera Face wash is enriched with the goodness of herbal extract of Aloe Vera, Tulsi and Neem leaves, providing a complete nourishment to the skin. This face wash helps in removing pimples, blemishes, acne , the signs of premature aging and retains skin's moisture, adds more glow to skin, making skin soft and smoother along with some additional antioxidant, soothing, hydrating and sunblock property. 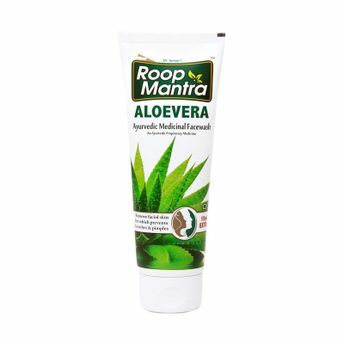 Alternatively, you can also find many more products from the Roop Mantra Aloe Vera Face Wash range.